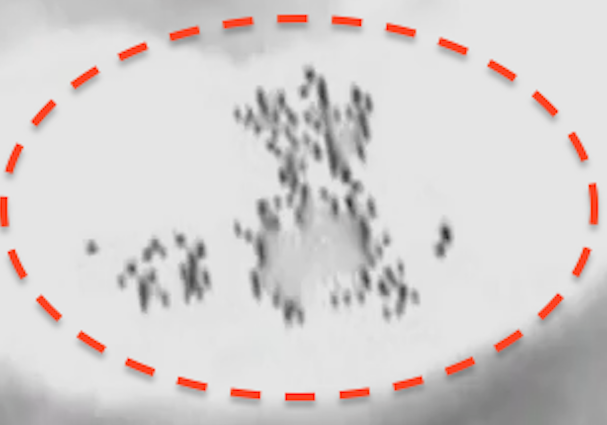 UFO SIGHTINGS DAILY: Alien Structures Found In Crater On Google Moon Map, April 2015, UFO Sighting News. 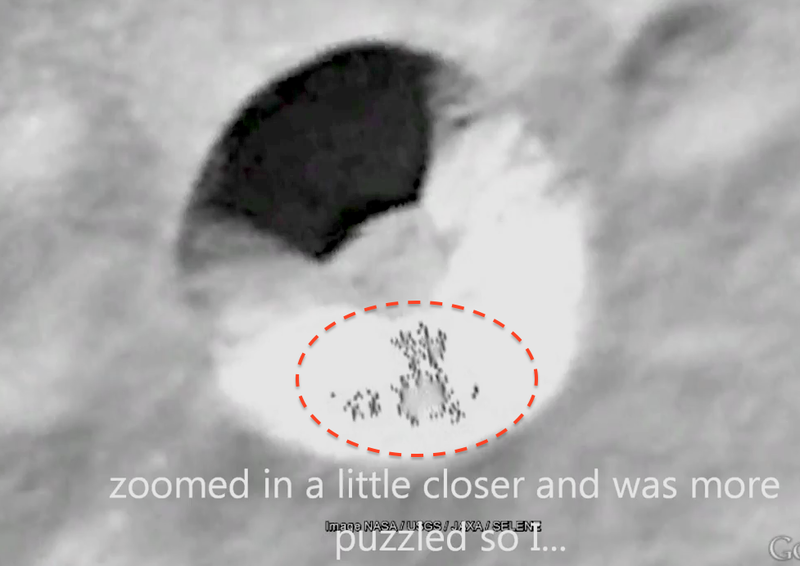 Alien Structures Found In Crater On Google Moon Map, April 2015, UFO Sighting News. While looking at the Moon's surface on Google Earth, I noticed something in a small crater. This apparently un-named crater is located about 55 miles southeast of the bottom edge of Compton Crater and about 50 miles northwest of Dugan Crater. I could not find anything like this in any other crater. It appears to be either many objects around some oblong area or beings of some sort. The crater itself seems some what unusual. It is very roundand the shadow is much more symmetrical than the shadows of other craters. It looks like it could be an entrance. I thought it interesting and wanted to pass along. I am not aware of this being put out on anyone else's video, although I haven't seen them all.